This is one of the most popular Toyota models and the second “world car” made by this manufacturer after Toyota Corolla. First Camry models were compact vehicles, but it later grow out of its shell and became a mid-size sedan, with the nineties being the transit period in which both compact and mid-size Camries were being sold. This vehicle is part of very competitive class, that’s why Toyota needs to change it much more often and although the current Camry model was around for only 3 years, this vehicle came all new and redesigned for the 2015 model year. 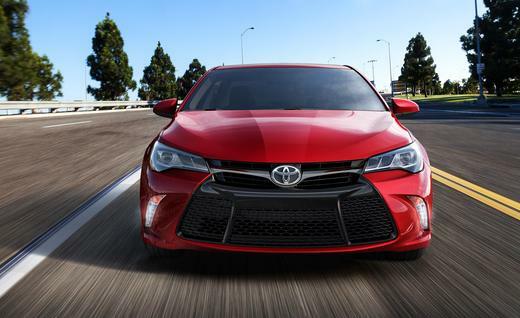 2015 Toyota Camry comes with updated exterior styling, material improvement inside the cabin, more hi tech features and it has one more trim level, SE sporty version hybrid vehicle. Overall the new model comes with more than 2,000 new parts, which is quite a lot for a mid generation update. This is the segment that survived the biggest number of changes for this model year, with the new model getting almost all new sheetmetal, accept keeping the roof from the previous model. Headlights are also changed, they get new more “swept back” design, with higher trim getting full LED running lights. Lower grille is much more open in the 2015 model, and in the back there is a line of brightwork that surrounds the taillights. Only thing we didn’t like is the glossy black surface behind the rear door, placed to make rear windows look bigger, it looks kind a tacky and to upfront. New model received a material improvement with introduction of new SofTex suede material for the lower trim levels upholstery, while the higher and more sporty trim still come with the sale leather upholstery. Both upholsters come with better and more prominent stitching. Instrumental panel has also changed, with much bigger buttons and knobs, and the dashboard received a beveled surface that’s fitted into a central stack, that’s made with a bright trim and it looks little bit more farther outward than it actually is. One of the most important interior updates is the installment of 6,1 touch screen display, that is made for Toyota’s Entune infotainment system, that’s one of the best in this class. Current model engines are going to be kept for the 2015 model year as well. We are still not sure is Toyota going to bring some power boost, but until today the only confirmation was that we’re going to see 2,5 litre four cylinder engine in the base version of 2015 model. Higher trim levels are going to come with 3,5 liter V6, while the hybrid model is going to come with 2,5 liter four cylinder Atkinson circle powertrain made with Synergy Drive technology. Gasoline engines are going to be paired with 6 speed automatic transmission, while the hybrid engine is going to come with E-CVT transmission system. Last year base version four cylinder came with 178 horsepower and 170 pound feet of torque, while the higher trim level V6 was able to produce 268 horsepower and 248 pound feet of torque. Hybrid powertrain was able to make 200 horsepower and it came with nice fuel efficiency of 41 mpg in combined conditions. 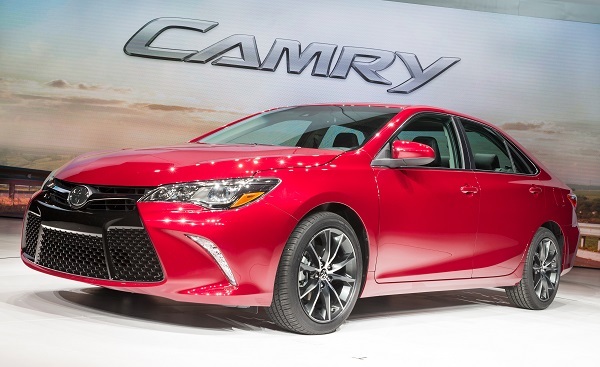 Base version 2015 Toyota Camry can be bought for $22,970. XSE and XLE trim levels come with V6 engine and they can be bought for $31,370, while the hybrid version can be bought for a price that range from $26,790 for the SE trim up to $29,980 for a XLE trim level. This vehicle has its fierce rivals from Honda Accord to Ford Fusion and Nissan Altima. 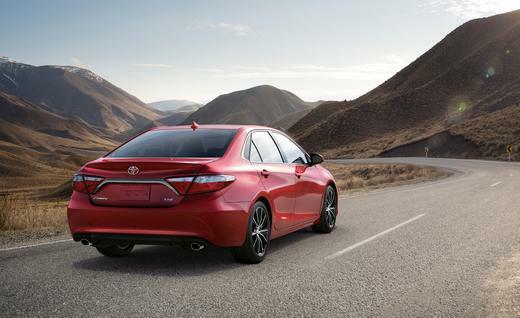 Nationwide average insurance rate for 2015 Toyota Camry LE was $1,318 and $1,380 for the hybrid version. Se is just two dollars more, while XLE trim level can range from $1,331 for the four cylinder version, $1,395 for the hybrid and $1,400 for the V6. In California insurance rates go from $1,630 for the four cylinder LE, up to $1,736 for the XLE with V6 engine. Texas is similar to the nationwaide average, while in Florida insurance rates for 2015 Toyota Camry go from $1,748 for a four cylinder LE to $1,807 for XLE with V6 engine. How Much Tax Deduction Do I Get If I Donate Used Toyota Camry To Charity? 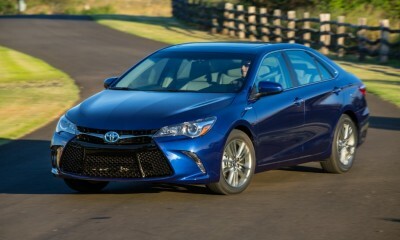 What Do Girls Think About Toyota Camry? 2015 Toyota Highlander Insurance rates, Interior, Exterior, Performance, Price, User Manual Download etc 2015 Toyota Land Cruiser Insurance Rates, Interior, Exterior, Performance, Price etc 2015 Toyota Corolla Interior, Exterior, Performance, Price 2015 Kia Sportage Insurance Rates, Interior, Performance, History, Price etc.